ERP implementations are one of the most costly, complex and environment changing projects an organization can undertake. In this hyper competitive market, solution providers will negotiate creative contracts to secure deals. One such tool is to value price projects. 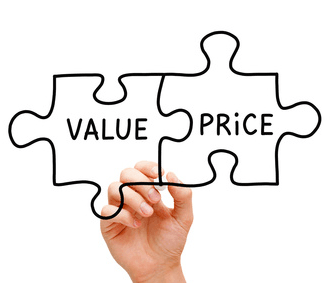 The definition of value pricing is deriving a selling price for a service or services based on a customer’s perceived value to be gained from that service or services. The concept is simple. However, there are a few high impacting assumptions that are inherently made with this pricing model. First, it is assumed that the customer is sophisticated enough to fully understand the nature of the business issues and requirements surrounding the desired services. Secondly, it is assumed that the customer has documented metrics such as excessive material, labor and time costs incurred from the related business issues. Thirdly, it is assumed that the customer is an informed consumer in that the customer understands the market of the service provider of which services are desired as well as the level of resources, skills and business acumen the service provider offers including its brand power. Based on the above assumptions, I would not recommend value pricing for ERP projects involving a comprehensive solution of software and process re-engineering. During an ERP implementation, more often than not, aspects or requirements not initially known and budgeted for become additional requirements which will, in all probability, not command additional funding from the customer as the customer will take the position that they already paid for the services. Also, unless the customer has metrics to measure the proposed solution, selling value has no basis of which to compare. Further, until a customer understands the business of the service provider and its credentials, developing a relationship based on professional respect and trust will be difficult, if not impossible. Granted, “selling” the service is the responsibility of the service provider but, negotiating with an informed prospect helps put the project details in perspective and in real terms. Implementing a solution that has a high degree of human interaction tends to have a high degree of subtle requirements making value pricing very difficult. I would agree that custom programming and, in most situations, EDI can be valued priced as these types of services tend to solve very specific sub requirements of larger projects. If custom programming and EDI are independent projects, then value pricing would still be a viable pricing model because the requirements need to be specific and absolute. Though I do not recommend value pricing for ERP projects, the current economic climate drives providers to secure deals by any means possible. As such, value pricing is a plausible pricing model. However, it needs to be carefully applied as the financial risk tends to be disproportionately shouldered by the service provider.